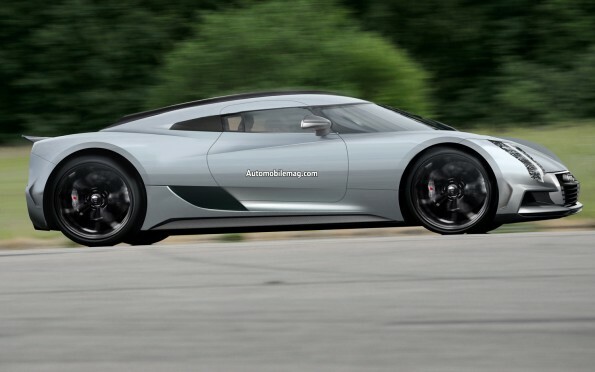 The render looks like a Koenigsegg. Right, that’s out of the way. So what’s the scoop? Audi plans to equip the R20 with the trademark full-length tailfin of an R18 LeMans racer. Other design features are said to include a downsized, singleframe grille; stacked LED headlights; ventilated front and rear wings; an adjustable tail spoiler (which may double as an air brake); and a relatively narrow canopy-style cockpit accessed through gullwing doors. An important engineering element is the active aerodynamics system, which can distribute the downforce between the front and rear axles for optimum stability in the critical 100-200 mph range. The interior of the R20 is as extreme and purposeful as the exterior. Expect a dynamic mode selector, a multi-functional black panel center display instead of conventional instruments, active-contour seats with integrated four-point belts, a multi-segment high-intensity windshield wiper and a camera-based surround-view package that renders door mirrors superfluous. 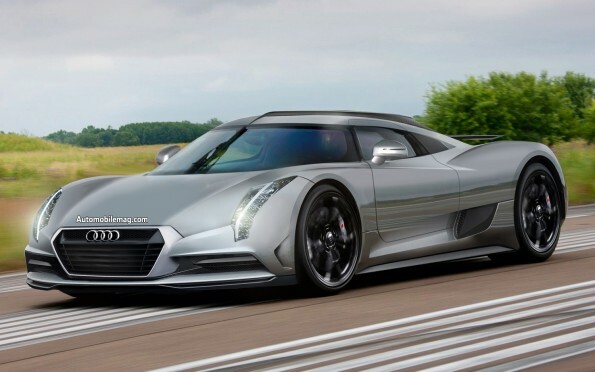 Insiders expect Audi to opt for the diesel-hybrid powertrain, with the proven twin-turbo V-6. The power output of the road car engine should be in the area of 550 hp. Add to this the lightweight body and the two 75 hp motors than drive the front wheels (Audi’s e-quattro), and it’s easy to picture a compelling power-to-weight ratio as well as excellent performance figures. The e-quattro layout not only yields an extra 150 hp, it also adds torque vectoring, some zero-emissions capability, ultimate traction, an on-demand boost effect, and a beefed up torque curve. Furthermore, the hybrid technology makes provisions for staggered brake energy recuperation, high-speed coasting, and a broader start-stop application. At this point, there are no acceleration, top speed, or consumption figures available. With Audi on target to reach its goal and sell 1.5 million vehicles by 2015, the R20 will likely be unveiled at the Pebble Beach event that year to celebrate the achievement. Production would commence in the spring of 2016. The output will be restricted, but it is at this point not clear to how many. It may be as few as 100 to 250 units. Now for the pictures, sorry renders….